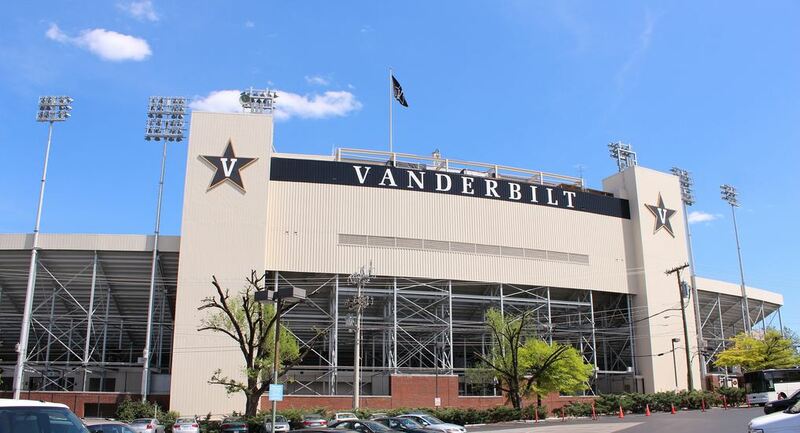 Home of the Vanderbilt Commodores, Vanderbilt Stadium is the smallest stadium in the SEC. In 1922, a stadium was constructed on the site of what was known as Dudley Field. It was the first stadium built in the south just for college football. The Commodores played their first game at the stadium on October 14, 1922 against Michigan. With an original capacity of 20,000, the stadium was named after Dr. William Dudley, Dean of the Medical College and football activist. The first addition to Vanderbilt Stadium occurred before the 1937 season when bleachers were placed in the open end of the horseshoe stadium. Expansion also occurred before the 1949 and 1960 season when additions were completed on the east and west sides of the stadium boosting the capacity to 34,000. Lights were added in 1954 and artificial turf was installed in 1970. The majority of Dudley Stadium was demolished in the early 1980s as part of a $10.1 million construction project of a new stadium on the same site. A one tier grandstand in a horseshoe shape encloses the field. 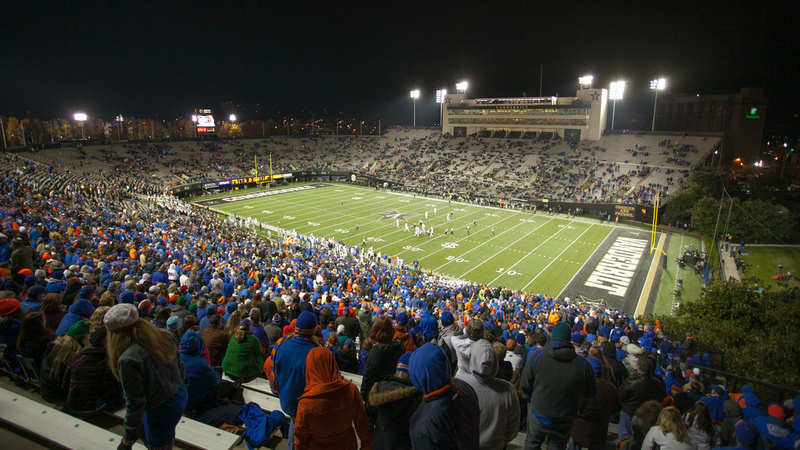 The seating capacity of Vanderbilt Stadium decreased from over 41,000 in the 1980s to just over 39,000 due to the removal of the wooden bleachers in the north endzone in 2004. The bleachers were replaced with a field level concourse. Other than being the home of the Vanderbilt Commodores, the stadium was the home of the Tennessee Oilers (NFL) in 1998. Prior to the 2012 season, the grass field was replaced with Fieldturf, new lights were added to the stadium and a new 50-foot by 72-foot HD video/scoreboard was installed. A grassy berm has been added on the open end of the stadium that provides fans a new perspective of the action of the field. It seats 500 fans and pushes the seating capacity of Vanderbilt Stadium to over 40,000.